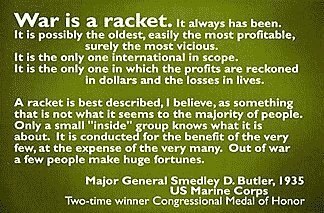 "A racket is best described, I believe, as something that is not what it seems to the majority of the people. Only a small "inside" group knows what it is about. 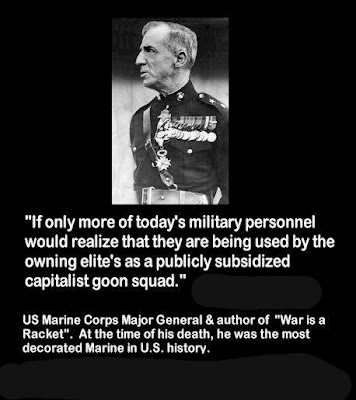 It is conducted for the benefit of the very few, at the expense of the very many." 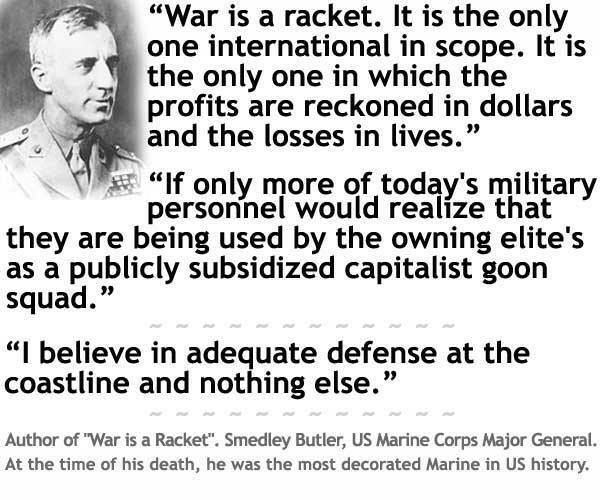 Smedley Butler on Interventionism Excerpt from a speech delivered in 1933, by Major General Smedley Butler, USMC.